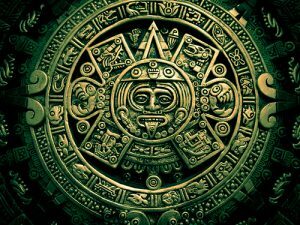 A subject that in my experience in Chicano Studies, or other areas where our ancestral culture is discussed, that is touched upon but never really understood is the count of the daily solar energies, or Tonalpohualli in Nahuatl. The Tonalpohualli is understanding the science of the movement of heavenly bodies such as the sun, the moon, and the other planets. 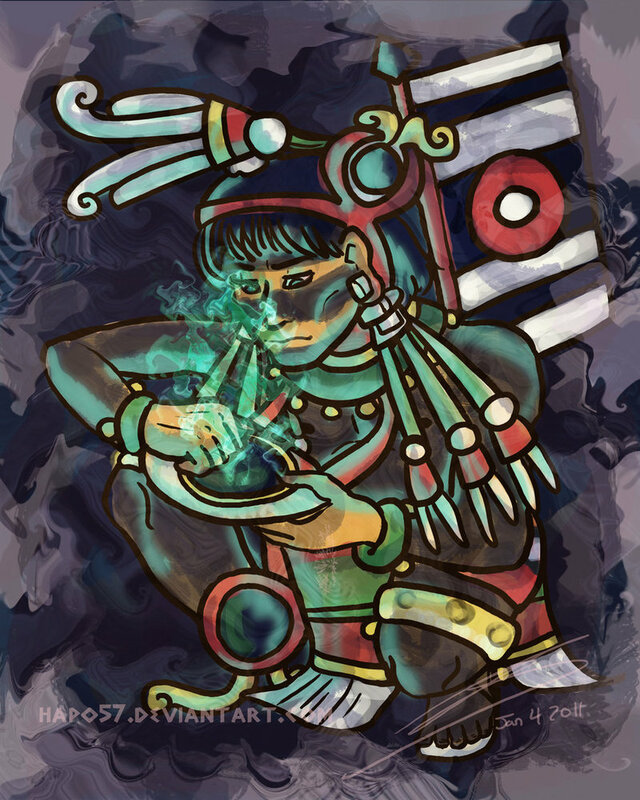 In many classes that I have taken ranging from Chicano Studies, anthropology, and his-story, the Tonalpohualli is mentioned and superficially described, but its understanding and importance in the lives, societies, and knowledge of our “pre-columbian” grandmothers and grandfathers is never brought into the picture. When I take a look at the civilizations we once had and the countless sites that archeologists now call ruins, I ask myself how it was that we organized ourselves to build our cities, conduct our institutions, and to have that spirituality, the knowledge, and wisdom that represents our traditions ,t h e Tonalpohualli gives part of the answer to my question. 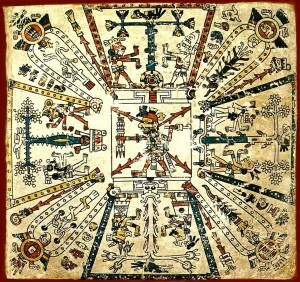 The Tonalpohualli is the count of the days through the use of 20 signs and the numbers 1-13. The day, the year, and the thirteen day period, I will call trecena in Spanish, are the basic time segments that are given a name of a sign along with a number. For example the year can be 12 tochtli (rabbit), the day 5 kalli (house), and the trecena under the sign of ocelotl. The trecena is given by the first sign of those thirteen days and each of the twenty signs is a first sign to its own trecena. I can take a lot more space to give further details but, it is better understood when one is taking part in the calculations of your own birthday. The Tonalpohualli had several important aspects to it that contributed to the well-being of the person and the people as a whole. Daily people were born and according to the position of the planets, the moon, and the earth, the child born acquired certain energies and relationships with the cosmos that defined the characteristics she or he would have in their life. By being able to know what the child possessed the society could better tell what their strengths and weaknesses were going to be. When a person knows their strengths, they are better suited to do a certain task that in others might be a weakness. By knowing the strength of the child, society would encourage those strengths in that child through schooling and teachings to reach the highest possible attainments and by doing so, be more able to reach a maximum productivity. In this way every person had their task, had their job that best benefited the people as a whole. When it comes to the child’s weaknesses, she or he were educated to have discipline in those areas and to work on strengthening those weaknesses in order to not disgrace themselves and their family and not become a burden to society. 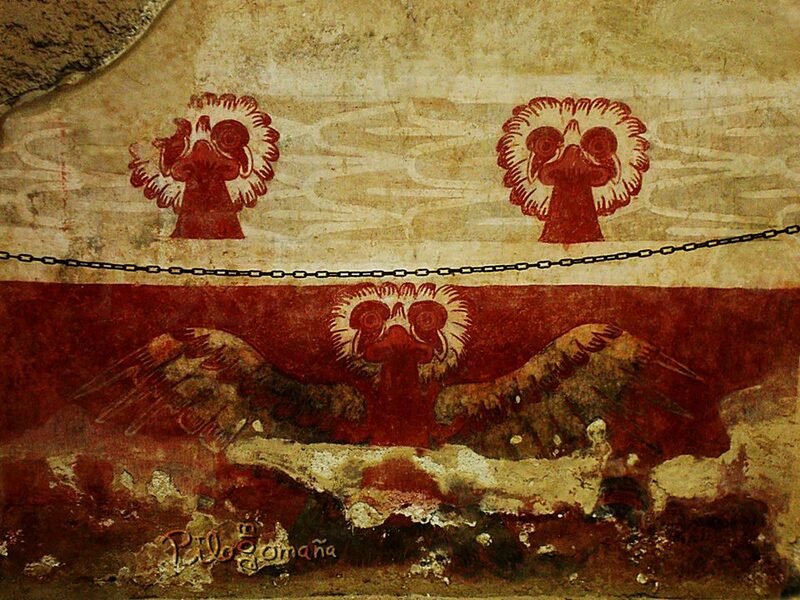 Another important aspect of the Tonalpohualli was that it provided all with a sense of belonging and importance. By knowing their place in society a person knew their uniqueness and importance to the society at large and therefore the Tonalpohualli gave to the child an identity and a connection to the group. Ketzalzoatl. He was born on the day and year Ze Akatl (one reed) and therefore became part of his name. In this way all were known to all and what their importance was in maintaining the harmony and the balance in society. 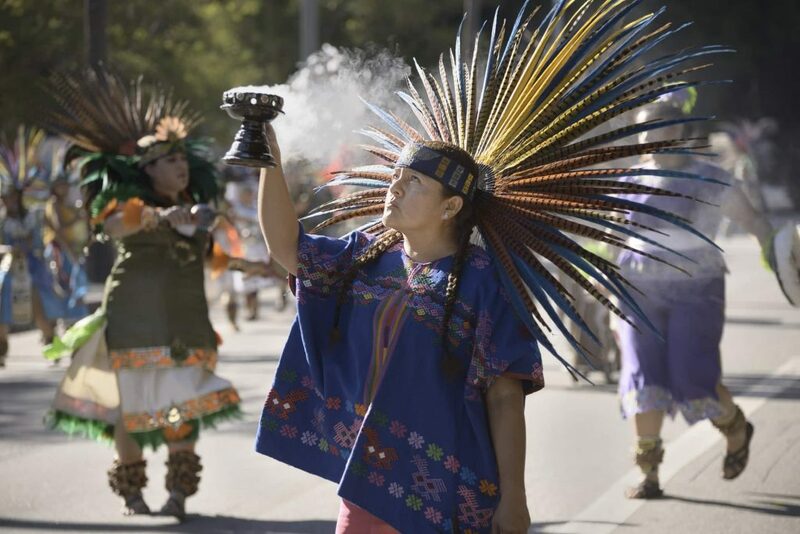 In these ways that the Tonalpohualli served the people before the invasion of this western “civilization”, destroyer of our culture, we can apply them to us as Xikan@s today. As I look into our present communities, the lack of identity, of self-worth and self-esteem, and of feelings of alienation are abundant amongst our people, especially the youth. Mexican and American education have only served to produce “good” citizens that work to keep this system of exploitation, oppression, and destruction going. Our children today have no where to go to make them feel not only wanted but needed. Gangs are the closest thing in our communities that contain some remnants of what the Tonalpohualli offers, such as name giving and a sense of belonging. 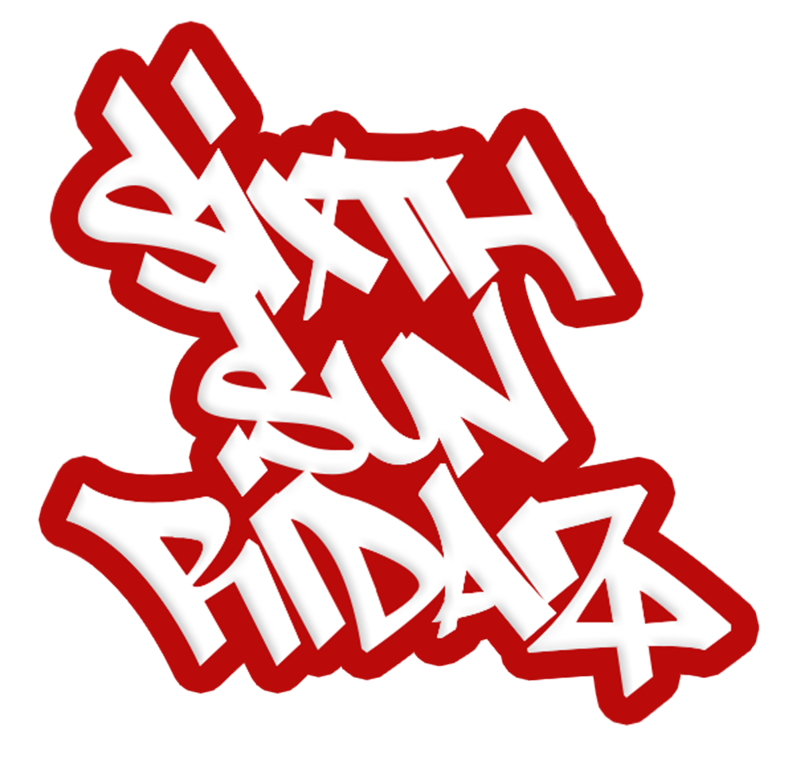 Identity is there but as a cholo from a certain neighborhood named after a street, a park, a concept, or a housing project. 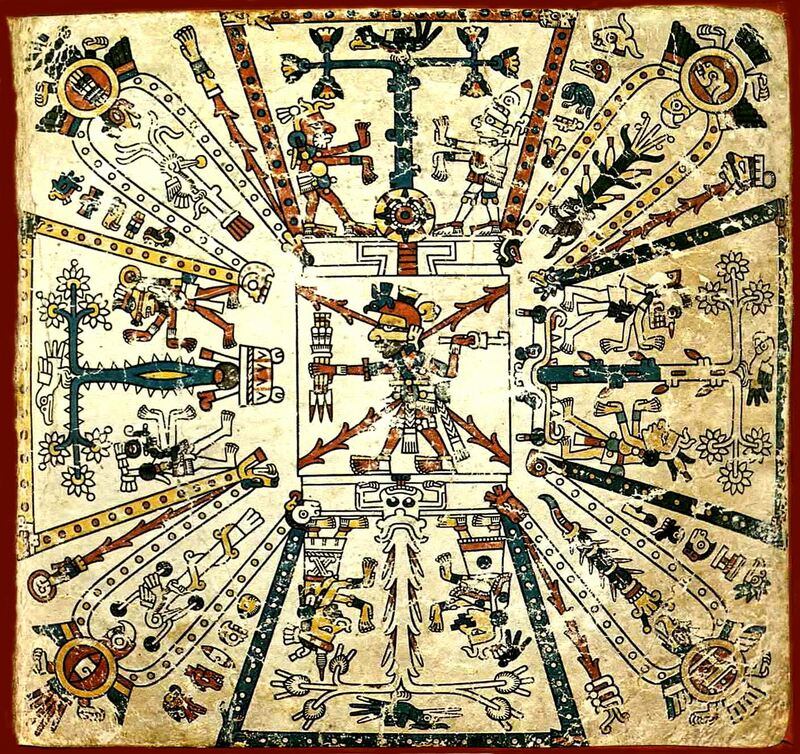 I feel that the Tonalpohualli can today contribute to redirect our people’s minds, hearts, and lives towards that path which our ancestors walked on. Name giving according to the Tonalpohualli can reinforce an Indigenous identity instead of a foreign Spaniard one. This negation of our roots contributes to the psychological warfare that this society has been conducting on our people. This material consumer society influences us towards a life of taking, a life of selfishness to do for the individual and not for the community and much less the future generations. In these times we as a people are not creators of anything only imitators of everything that euro¬america has to offer, and that is nothing more than ignorance and stupidity. There is a reason why the Indigenous population (Xikano, Navaho, Mexika, Maya, etc.) in prison is increasing as well as the atrocities we do to each other. That reason is to keep us blind to the truths that whites must have slave labor to keep the US and themselves at the top while they destroy the Earth and all of creation through their wars, their technology, and their pursuit of “happiness”. Let us do away with this and at least begin to follow that road to balance and harmony that describes Indigenous societies through the Tonalpohualli if we are really serious in changing things for our people, our children, and for creation.